Kyle Grillot - kgrillot@shawmedia.com Johnsburg junior Brad Iverson is tackled by Grayslake junior Jaron Armiger during the fourth quarter of the football game against Grayslake Central Thursday, September 12, 2013. Johnsburg lost the game 21-28. Kyle Grillot - kgrillot@shawmedia.com Johnsburg junior Bailey Stefka attempts to bring in a pass under the defense of Grayslake senior Jacob Vargo during the second quarter of the football game against Grayslake Central Thursday, September 12, 2013. 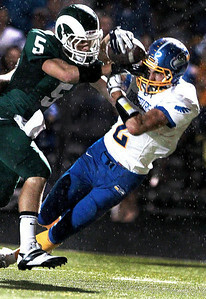 Johnsburg lost the game 21-28. 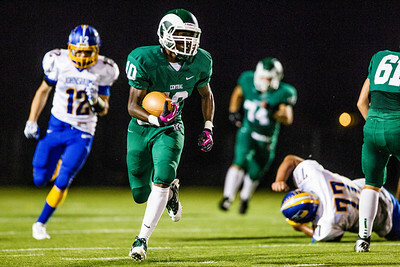 Kyle Grillot - kgrillot@shawmedia.com Grayslake sophomore Winslow Powell is tackled out of bounds by the Johnsburg defense during the football game at Grayslake Central Thursday, September 12, 2013. 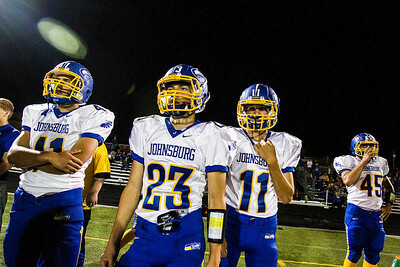 Johnsburg lost the game 21-28. 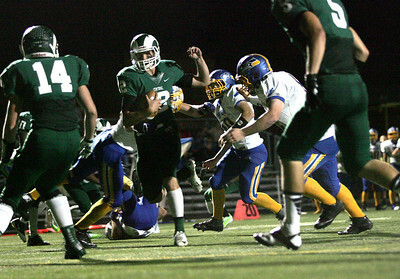 Kyle Grillot - kgrillot@shawmedia.com Grayslake senior Alex Lennartz runs the ball in for a touchdown in the second quarter of the football game at Grayslake Central Thursday, September 12, 2013. Johnsburg lost the game 21-28. Kyle Grillot - kgrillot@shawmedia.com Grayslake senior Alex Lennartz is tackled by Johnsburg junior Branden Peschek (25) and senior Steve Dixon (22) during the third quarter of the football game at Grayslake Central Thursday, September 12, 2013. Johnsburg lost the game 21-28. 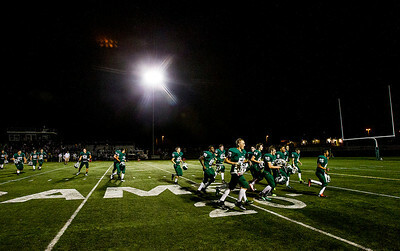 Kyle Grillot - kgrillot@shawmedia.com The Grayslake team leaves the field after winning the game against Johnsburg Thursday, September 12, 2013. 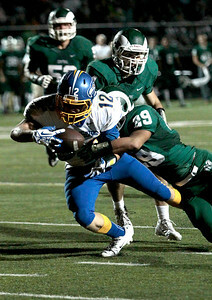 Johnsburg lost the game 21-28. 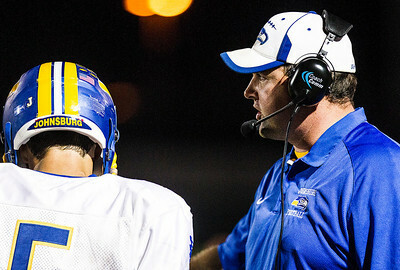 Kyle Grillot - kgrillot@shawmedia.com Johnsburg head coach talks wit junior quarterback Nick Brengman during the fourth quarter of the football game against Grayslake Central Thursday, September 12, 2013. 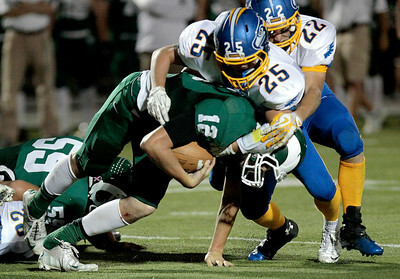 Johnsburg lost the game 21-28. Kyle Grillot - kgrillot@shawmedia.com Johnsburg players watch as their team slips into a three-goal deficit during the fourth quarter of the football game against Grayslake Central Thursday, September 12, 2013. 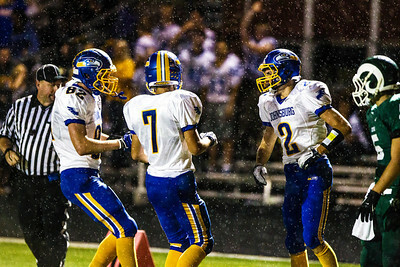 Johnsburg lost the game 21-28. Kyle Grillot - kgrillot@shawmedia.com Johnsburg junior Zach MacKenzie runs the ball in the second quarter of the football game against Grayslake Central Thursday, September 12, 2013. Johnsburg lost the game 21-28. 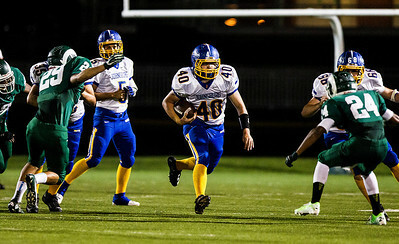 Kyle Grillot - kgrillot@shawmedia.com Johnsburg junior Steve Dixon (22) chases down Grayslake senior Maurice Merrell during the third quarter of the football game against Grayslake Central Thursday, September 12, 2013. Johnsburg lost the game 21-28. Kyle Grillot - kgrillot@shawmedia.com Grayslake junior De'Juan Ali runs the ball through Johnsburg defense during the second quarter of the football game against Grayslake Central Thursday, September 12, 2013. Johnsburg lost the game 21-28. Kyle Grillot - kgrillot@shawmedia.com Johnsburg seniors Ben Stillwell (83) and Alec Graef (7) talk with junior Bailey Stefka after he was unable to pull in a pass in the second quarter of the football game against Grayslake Central Thursday, September 12, 2013. Johnsburg lost the game 21-28. 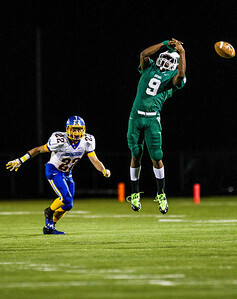 Grayslake junior De'Juan Ali runs the ball through Johnsburg defense during the second quarter of the football game against Grayslake Central Thursday, September 12, 2013. 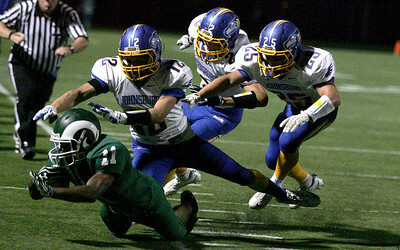 Johnsburg lost the game 21-28.